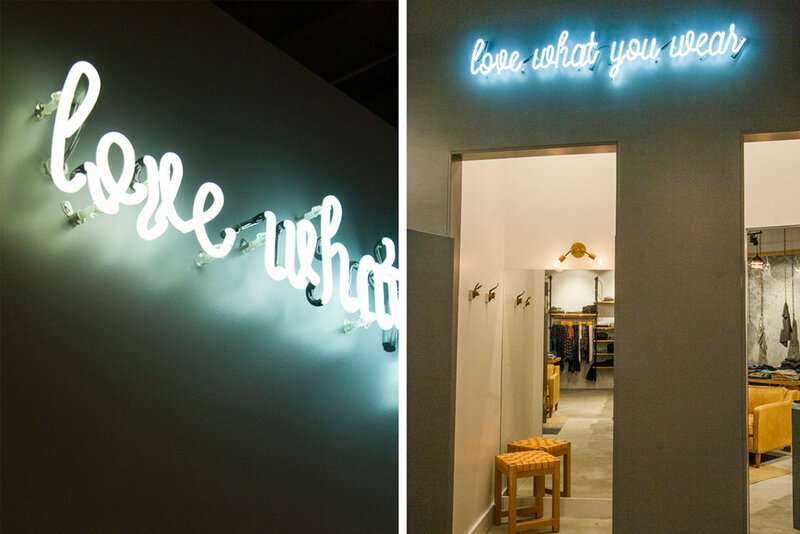 The Closet, by Sharon Segal & Nina Segal (of Fred Segal fame) is an upscale retailer specializing in premium denim, ready-to-wear collections, and fine jewelry and accessories. 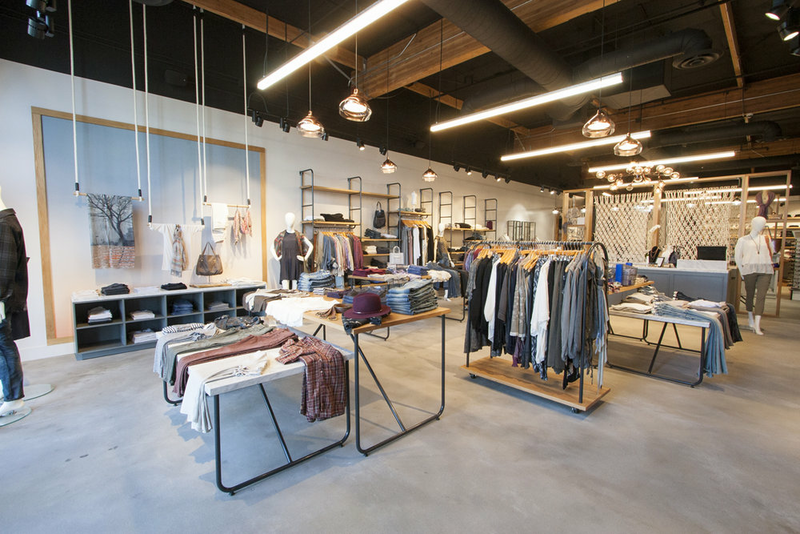 We were brought on to bring their Westlake Village location to life through thoughtful and inspired design. The aesthetic is modern and clean to provide a space for product to stand out but also warm and textural. 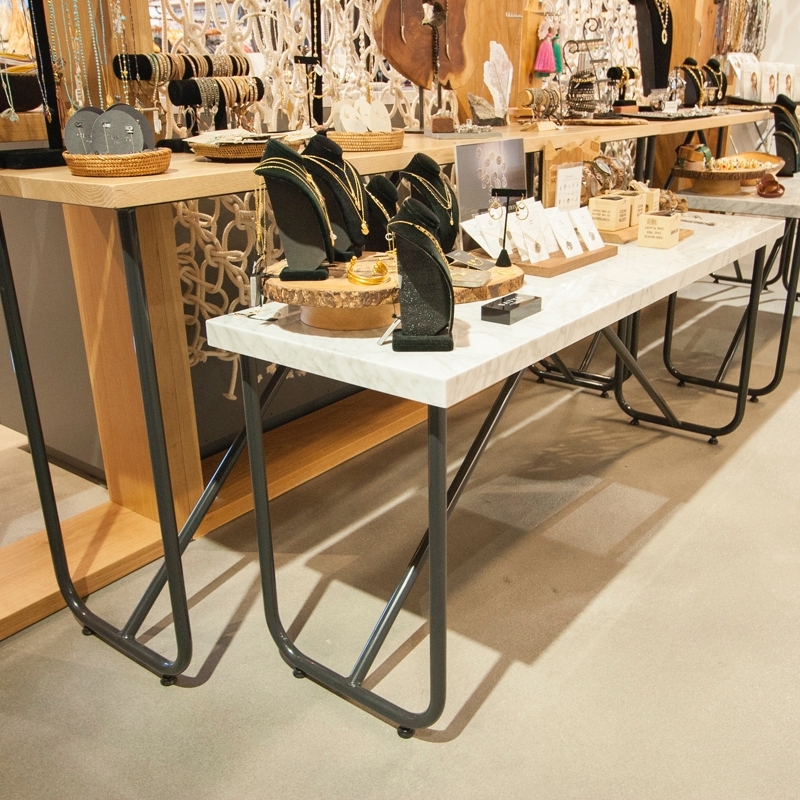 Tables made from oak and marble nest to create multi-layered surface areas for merchandising and beautiful display of product. Free standing racks have a curved metal detail, reflective of the wall shelving which is adjustable and can be customized to a variety of needs. We defined three different areas throughout the store to stand as product display anchors. Framed out by Calico Wallpaper, these become spaces for creative installations to highlight specific product. 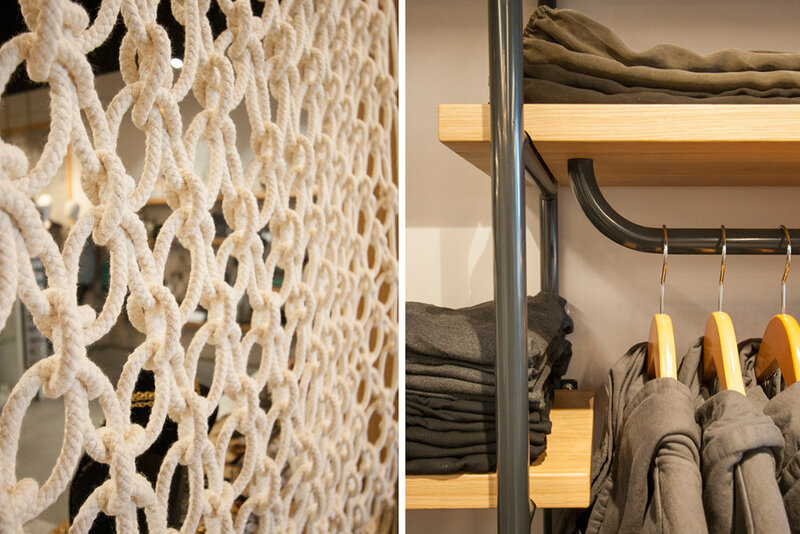 Jewelry & accessories live in the center of the store and in order to define but not close off the space, we utilized open frame wall units with incorporated shelving and custom-made large macrame panels.